Joe Satriani : What Happens Next album download | Has it Leaked? 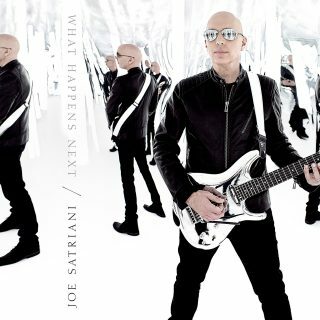 Instrumental Rock artist Joe Satriani is getting ready to release a highly anticipated 12-track album, "What Happens Next," out on January 12th, 2018. Joe Satriani is putting out this new release through Sony Music Entertainment. Taking roots in Westbury, New York, Joe Satriani's sound is similar to that of Steve Vai and Eric Johnson. Check out a new track from Joe Satriani below! Legend, but sound kind of repetitive these days.